Hi, I'm Mitch Fincher and these pages are from a talk I gave while a Civil Engineering student at Texas Tech University. 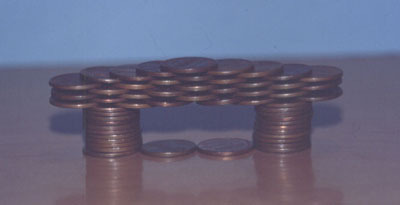 The following is the basic pattern for building cantilevered structures with Pennies. Although it looks trivial, we can build amazing structures with these pillars. 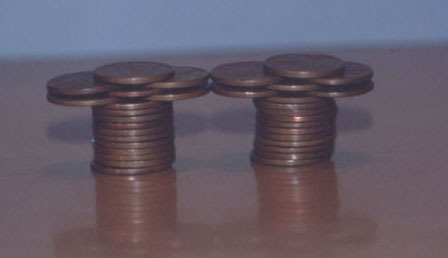 All penny columns are ten pennies high, a "stack". 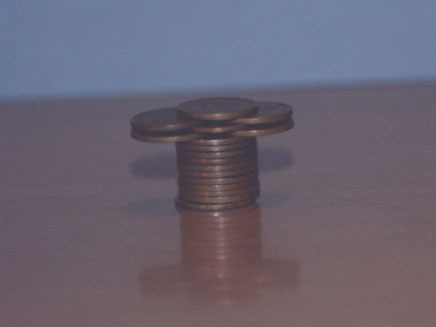 Two side-by-side pennies held in place by a penny above them is called a "triad". 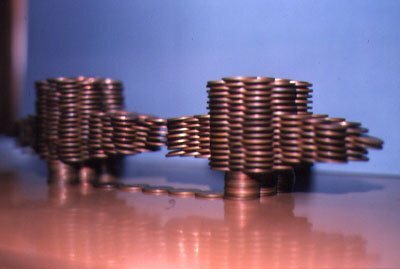 Below is a stack with two triads resting on top. Now, I'll show you how to build a simple bridge. Duplicate the above structure and slide them together. 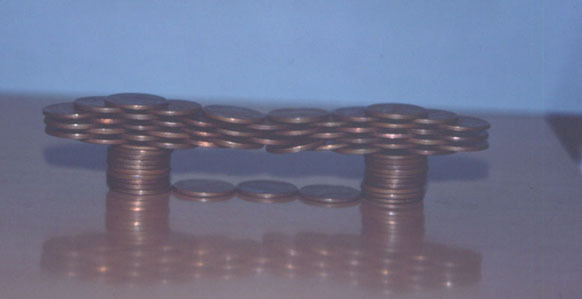 Carefully filling the space between with pennies, we create a one penny-span bridge. 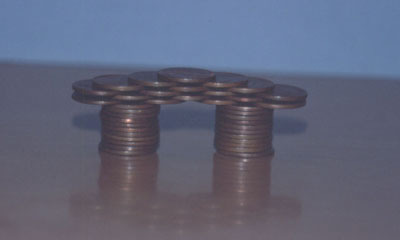 Repeating the process by putting an extra triad on top of each stack, we can create a two penny-span bridge. Although it looks weak, it will actually hold quite a bit of weight. 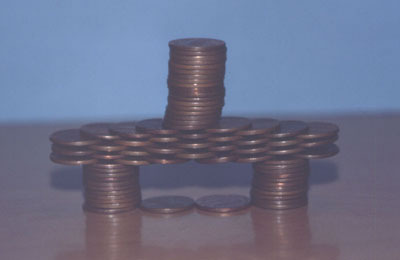 Remember no glue or adhesive is used; only the compression weight of the pennies hold the structures together. We can move on to a three penny-span bridge. And finally to six and seven penny-span bridges. These are highly effective study-avoidance mechanisms. Click "Next" to move on to "The Big Tower". 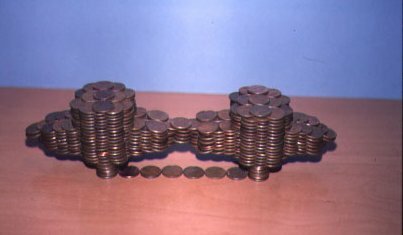 Submit your amazing coin stacking pictures. 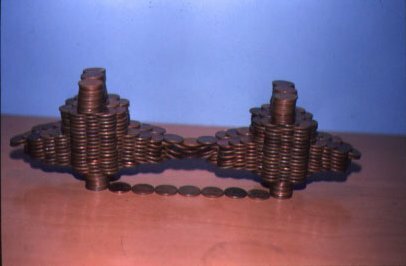 Note: All stacks of coins were done without any glue. Only the weight of the coins provides the support. Enjoy the pictures. Coin Stacking is a fun hobby for kids, college students and adults.